You’ve Created Great Content. Now What? If you’re like most marketers, you feel like you’ve been creating engaging content all along, but it just doesn’t get as many views as you need it to. You’ve put a lot of work into creating content and you know that readers would love it…if you could just get them to read it. Sound familiar? Many experts say that content marketing should follow the 80/20 rule. 80% of your time should be promoting your content and 20% of your time should be creating content. It’s a better use of your time to make sure your great content gets seen before you continue on towards creating another piece of content. This post outlines 8 things you can do after you create your awesome content so that your target consumers actually see it. Your site should get a lot of traffic, even if those visitors aren’t initially checking out your content. Creating pop-ups that recommend your newest content when visitors arrive are an effective way to get more content views. You also can put relevant images and content blocks in your sidebar that direct people on your site to your content. Hopefully by now, you’ve created an email list of leads. 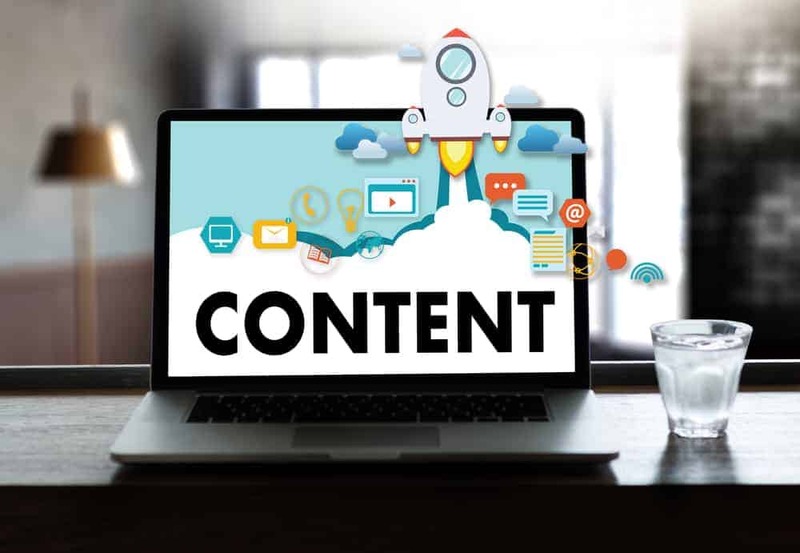 Thought leadership content that you produce like blog posts, eBooks and white papers are the perfect items to email out to your leads to keep them engaged and privy to your content. To save time, you may want to consider a tool like FeedOtter to automate and curate a weekly or monthly digest of the content your produce. For content that is gated by a lead capture form, you may want to go above and beyond with your email strategy and purchase an eblast or a spot in a thought leadership newsletter. The money you might have to spend on this is well worth the new leads that you will generate. Your coworkers can be an incredible untapped resource for sharing your brand’s content. One research report found that content shared by a brand’s employees has 561% more engagement than content shared by a brand’s own channels. That number is too big to ignore. Share everything you produce on all of your own social channels and keep experimenting with relevant hashtags. Hashtagify can help you see how popular any particular hashtag is, and can help you be equipped to use hashtags that will actually be seen. Paid social ads for your best pieces of content are a great idea as well, because you can work with anything from a tiny budget to a big budget while targeting ideal consumers. When it comes to Twitter, schedule tweets out on a tool like HootSuite and share your post at least 5 times within the first week after publishing. Use different hashtags (2 per post) every time you compose a tweet. If you can get your content on the radar of brands who have a lot of followers, they will often share your content with their own audience, which maximizes the visibility of your content without expensive paid promotions. One way to do this is to link to their site, or a resource they produced, in the body of your content. Then, when you share your content on social, tag them in your posts so that they notice it. You can even go as far as to email them and send them the link to your content and ask them to share it. Along those lines, you can also reach out to big publications and ask if you can write a guest post for them. If you do it right, you can now house your incredible content on their site and benefit from their traffic. What a great way to maximize your visibility! There are a couple ways to utilize influencers to increase content visibility. One way is to extract relevant quotes from their posts and use them in your content, and then cite these influencers in your post. They are usually as eager to promote any complementary content that includes their quotes. Another way to work with influencers for your content is to email them specific questions that you might want them to weigh in on, and then link to their social accounts or blog when you insert their input. Just like working with brands as we cited above, be sure to generously tag the influencers on social media and email them and ask them to share your content with their own followers. There are a few ways to make your content easily shareable, which can increase your chances of readers sharing your content. The most obvious way is to have social share buttons on your content. Make these social share buttons easily viewed on the sidebar and/or the bottom of your content. Also, make sure they’re optimized so that when your readers click on them, the posts are accurately representing your content. Another way is to insert Click to Tweet phrases within the content so that your readers only have to click on the link and instantly share the tweet you’ve composed within your content. Take some time to decide which of your sentences sums up your content concisely and accurately. Also, it never hurts to include your best content to your email blasts, and ask them to share your content on their own social media channels if they like it. There are plenty of communities out there (that have already built a strong online presence) that you can submit your content to. These communities are a great way to connect with like-minded readers. Some ones to consider are LinkedIn Groups, Triberr and Growth Hackers. These communities also offer optimal networking opportunities with like-minded professionals. Do you have any strategies that you use to promote your content? We’d love to hear from you in the comments below! https://i0.wp.com/www.feedotter.com/wp-content/uploads/2019/02/shutterstock_663018469.jpg 691 1000 Kristen Matthews https://www.feedotter.com/wp-content/uploads/2018/09/200w-feedotter_LOGO-negative.png Kristen Matthews2019-02-05 13:16:552019-02-24 15:48:41You’ve Created Great Content. Now What?